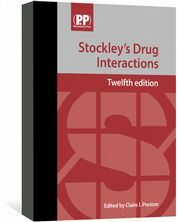 Stockley's Herbal Medicines Interactions is now in its second edition and remains a unique collaboration between a team of experts in the fields of drug interactions, clinical herbal medicines, phytopharmacovigilance and regulation of herbal medicinal products. It provides an invaluable reference text for all healthcare professionals who require evidence-based information on the interactions of conventional medicines with herbal medicines, dietary supplements and nutraceuticals. 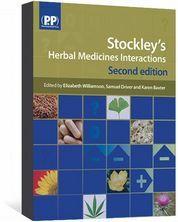 Stockley's Herbal Medicines Interactions brings together available data on over 190 of the most commonly used herbal medicines, dietary supplements and nutraceuticals in highly structured, rigorously researched, and fully referenced monographs. Extensively updated for this second edition over 40 new monographs have been added for herbal medicines and dietary supplements, including Blue cohosh, Bergamot, Carnitine derivatives, Goat's rue, Hibiscus, Holy basil, Juniper, Kava and Squill. 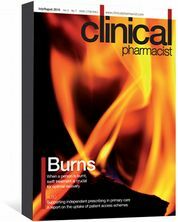 Substantial updates have been undertaken to the standing content, including revisions of the interactions of St John's wort, Milk thistle, Evening primrose oil, Ginkgo and many others.